Playtech continues to build on its collection of superhero-themed online slot games. 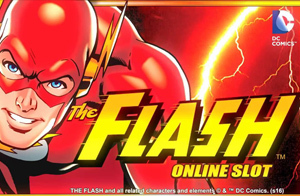 The online casino games developer has been quietly increasing the number of its DC Comics slots games, and the next in line – which launched this week – is The Flash slot. 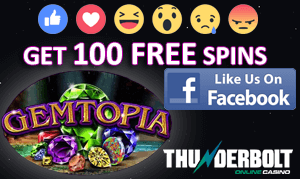 Playtech-powered online casinos are celebrating the addition of The Flash slot to their games’ lobby. The new slot doesn’t disappoint in the features department, and also offers players a good chance of hauling in superhero-sized winnings thanks to progressive jackpots linked to the game. Following the lead of other online software companies, Playtech has paired off with another games developer studio to help create new content. The DC Comics-themed The Flash game was developed together with Geco Studio and the result is extraordinary. We are talking about a five reel, 50 pay line slot game that offers bets ranging from 0.50 to 500 per spin – definitely catering to all player levels. There are plenty of bonus features across the reels to ensure that all elements of entertainment and rewards are present. Wild symbols: These symbols appear on reels # 2, # 3, # 4 and #5. They can stand in for all other symbols (except scatter symbols) to create winning combinations. During the base game, the wilds can appear randomly, increasing your chances of winning even more. Battle Bonus: If you land five Flash (or alternatively Reverse Flash) scatter symbols on the reels, you will activate the Battle Bonus feature. Your mission is to choose who you believe will win the battle. You’ll be up for cash prizes if your chosen figure wins. Free Spins: After the Battle Bonus feature, you will trigger Free Spins. During these free games, you can win a prize if a Reverse Flash icon appears on reel #4, or if The Flash appears on reel # 3. Once you have landed all five prizes up for grabs in the Battle Bonus, you will be able to scoop up even more rewards.